Butterfly 1st Birthday Baby Girl Onesie. 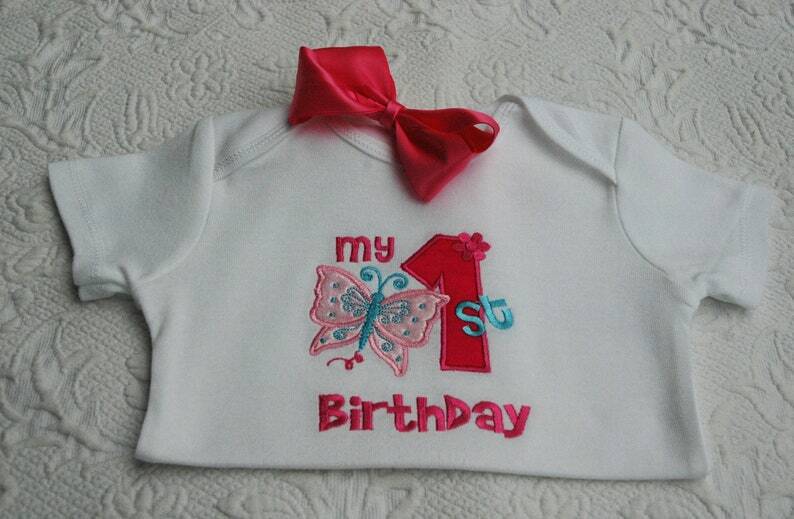 Embroidered with butterfly,birthday year and personalized with your baby girls name. We also offer a matching tutu. The onesie is available for all ages.